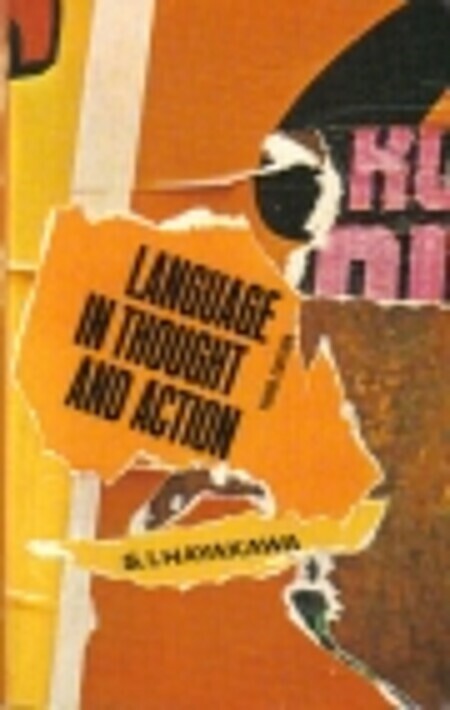 In this thoroughly revised, updated edition of his classic "Language in Thought and Action, " S.I. Hayakawa discusses the role of language in human life, the many functions of language, and how language--sometimes without our knowing--shapes our thinking. Not what I was expecting, but very interesting and enjoyable reading. How language shapes our thinking and, sometimes, derails our thinking. Something here for the philosopher, the historian, and the linguist. A classic. I try to read this at least once a year since I first read it in 1998. This is actually a reprint of his famous 1939 book and a world of sociolinguistic research has accrued since then, but this was the pioneering text. It is still interesting and fun to read, but don't stop here. It's a very interesting field.